This unique Kemdent formulation is clean and easy to use. Three fresh flavours: Original, Strawberry, and Spearmint designed for greater patient acceptance. 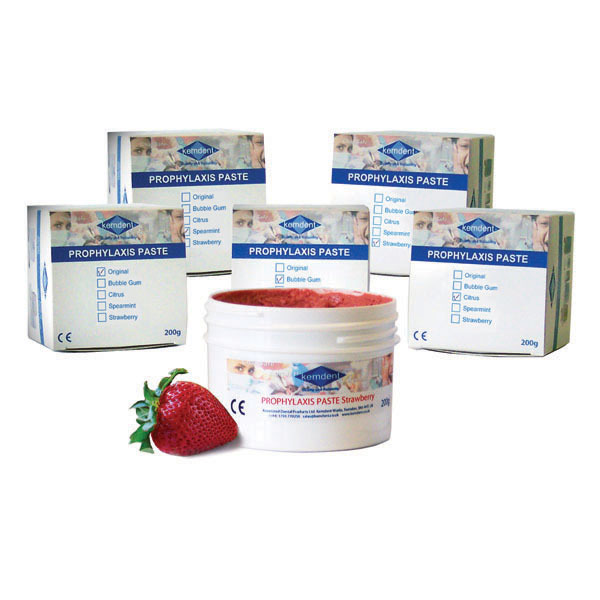 Special viscosity ensures that paste clings to the prophylaxis brush and will not spatter. Two grits are offered, medium for normal use and heavy duty providing greater removal rate.